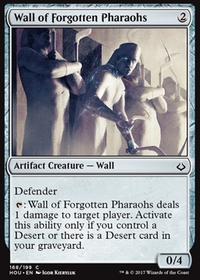 Mono-red burn in Pauper using deserts and Wall of Forgotten Pharaohs in place of Thermo-Alchemist. Full deck tech at www.thediscard.com. This deck is Pauper legal.